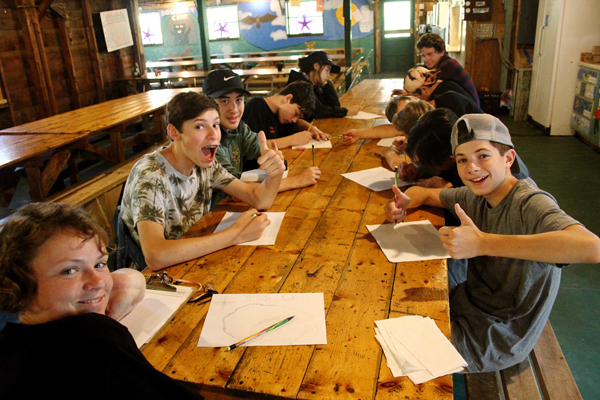 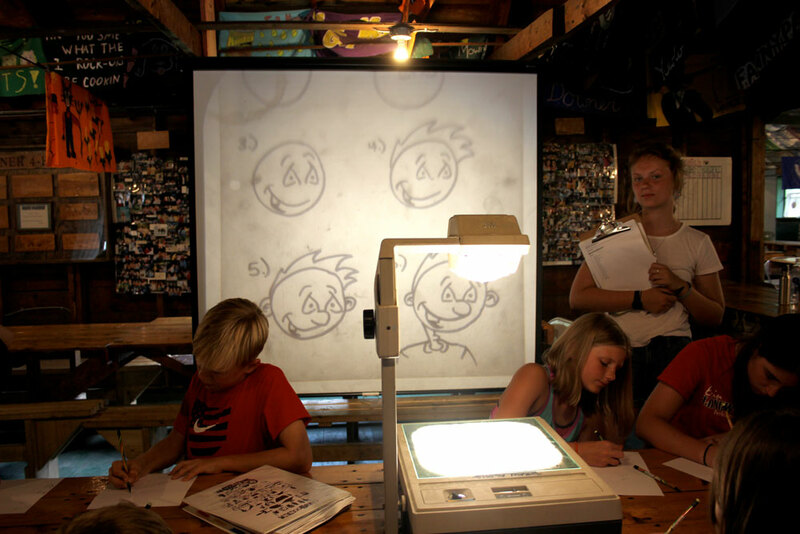 Cartooning is a great class offered at camp. 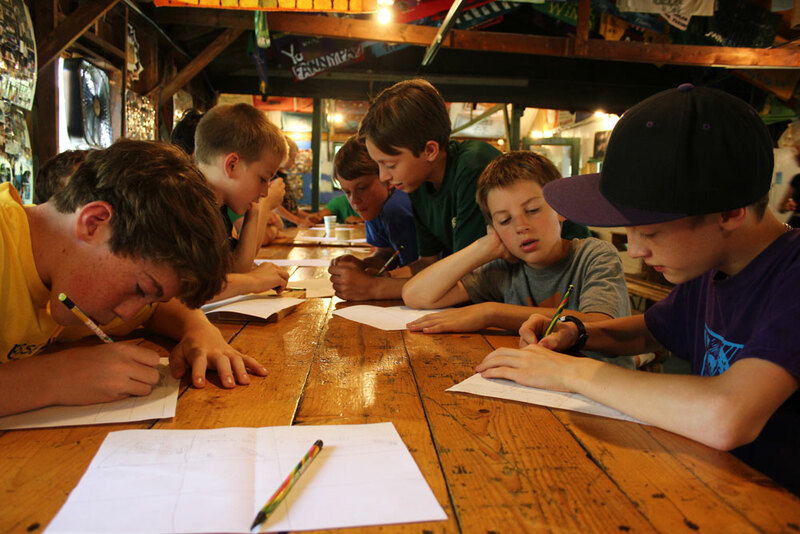 After teaching the basics of cartoon drawing and browsing some comic strips, counselors guide the campers in making up their own character. 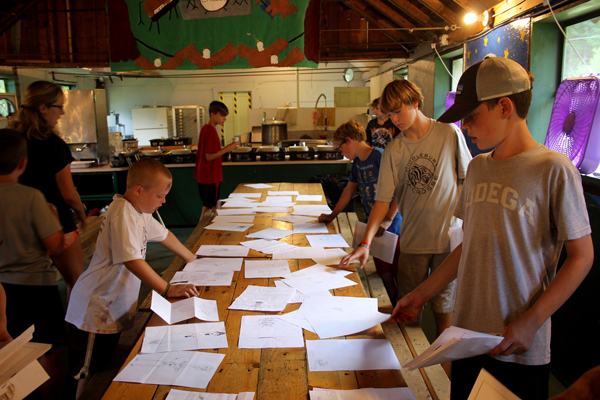 They define the characters’ facial features, body shape, clothes, and personality. 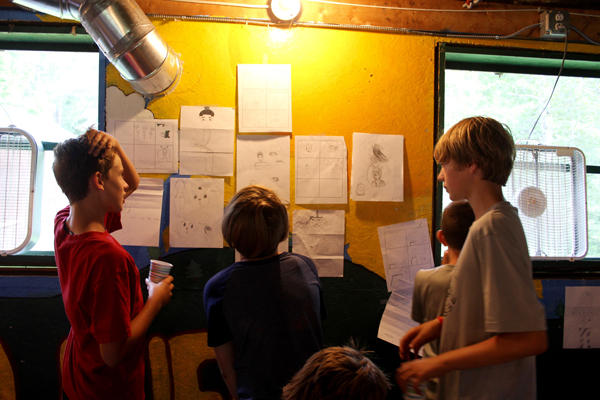 After perfecting their character, the campers write a short comic strip introducing their character. 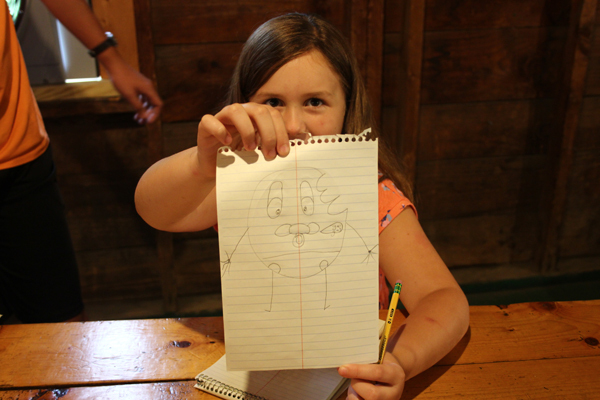 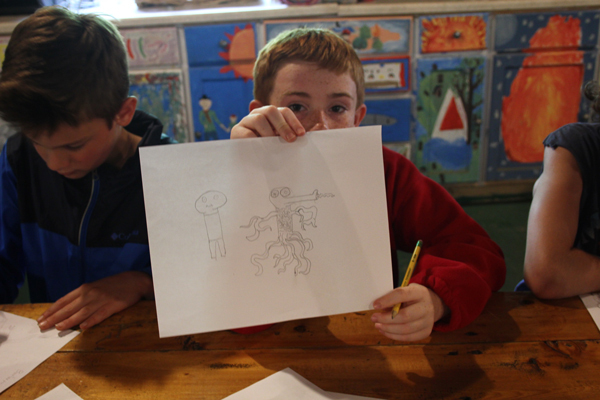 Once the campers go home, they can draw their newly invented character on their next adventure.